Casidra did it again for the 27th time with an unqualified audit report to prove good governance during the company’s Annual General Meeting held on 30 August 2016 at its Head Office. Minister of Economic Opportunities, Alan Winde, congratulated Casidra for what he described as staying relevant in the industry. He said that it is always good to work with the company that always have some positive news and less risks. Minister Winde says that Casidra must continue to do what it does best and also try to further speed up its service delivery. In his speech, Minister Winde emphasised that the Western Cape is South Africa’s leading job creator in the agricultural sector, “an achievement we have reached through powerful collaborations with partners such as Casidra”. “This success is due to the focused approach we are driving through the Project Khulisa growth strategy, positive sentiment from the private sector and successful partnerships with organisations such as Casidra”. “Through Project Khulisa we have set ourselves the goal of doubling the size of the agri-processing sector and adding up to a further 100 000 jobs by 2019. Casidra has been doing important work in moving us towards these targets. We have selected accelerating the pace of transformation as a key priority and I would like to commend Casidra for the facilitation of 100 land reform projects for emerging farmers in 2015/16”, said Minister Winde. Agriculture is an important economic catalyst in our rural areas, and residents living in these areas are drivers of the growth in the sector. This is why agri-workers and their families must have access to the services they need in order to thrive. To this end, Casidra supported over 2000 families with new and existing food gardens during the period under review. Through life skills training and substance abuse awareness programmes, Casidra is also fostering more hopeful and healthy communities. In his concluding remarks, Minister Winde said, “I know that Casidra will join us in embedding this plan to ensure that we create a sustainable agricultural sector. I would like to thank the Casidra Board, CEO Michael Brinkhuis and his team for their efforts in taking the agricultural sector forward in 2015/16. Together we will continue to build this country’s most dynamic and competitive agricultural region”. 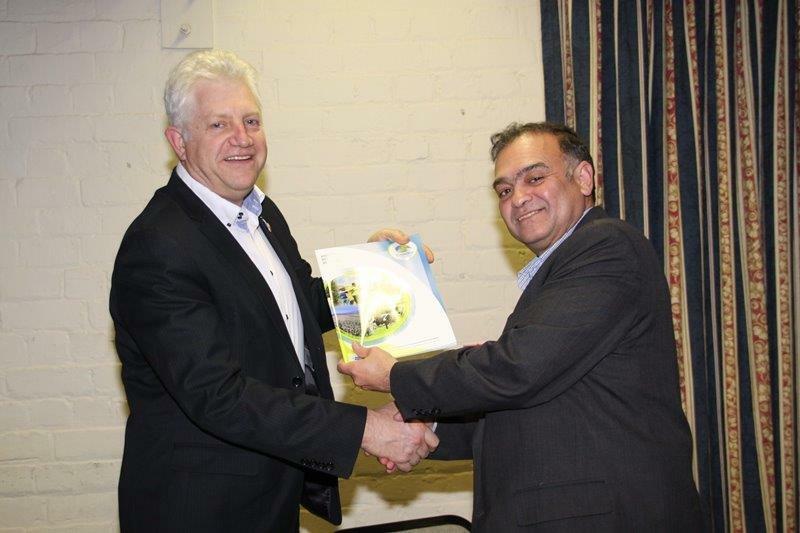 The Chairperson of the Board, Advocate Gary Oliver welcomed these wonderful words and before presenting the Annual Report to Minister Winde, he said, “The end of the 2015/2016 financial year sees Casidra in a phase of positive development. We have been buoyed by the confidence shown in us by Government, as evidenced by a significant increase in projects allocated to us”. Oliver reiterated that the initiatives of Minister Alan Winde to assist the National Government with land reform are now coming to fruition in a partnership between Casidra and the Provincial Department of Agriculture and Land Reform. We welcome the opportunity to be of greater service and the challenge of achieving the objectives of the Western Cape Provincial Government in a field of activity that is complex, but of great strategic importance. “I express my sincere appreciation for the hard work done and dedication shown by the management and staff. Let me once again invite all organisations and individuals who have a stake in the development of a strong rural economy in the Western Cape, to take hands with Casidra, to partner with us and to work with us to realise our mandate, namely ‘agricultural and economic development within a rural and land reform context”, Oliver concluded. A copy of Casidra’s latest Annual Report for 2015/16 is available at 22 Louws Avenue, Southern Paarl or can be downloaded from our website at www.casidra.co.za in three languages.